Being one of the most famous resorts in coastal Nha Trang city, Amiana has been operating for over 6 years and has impressed both domestic and international tourists by its unique architecture, beautiful landscape as well as high class service. 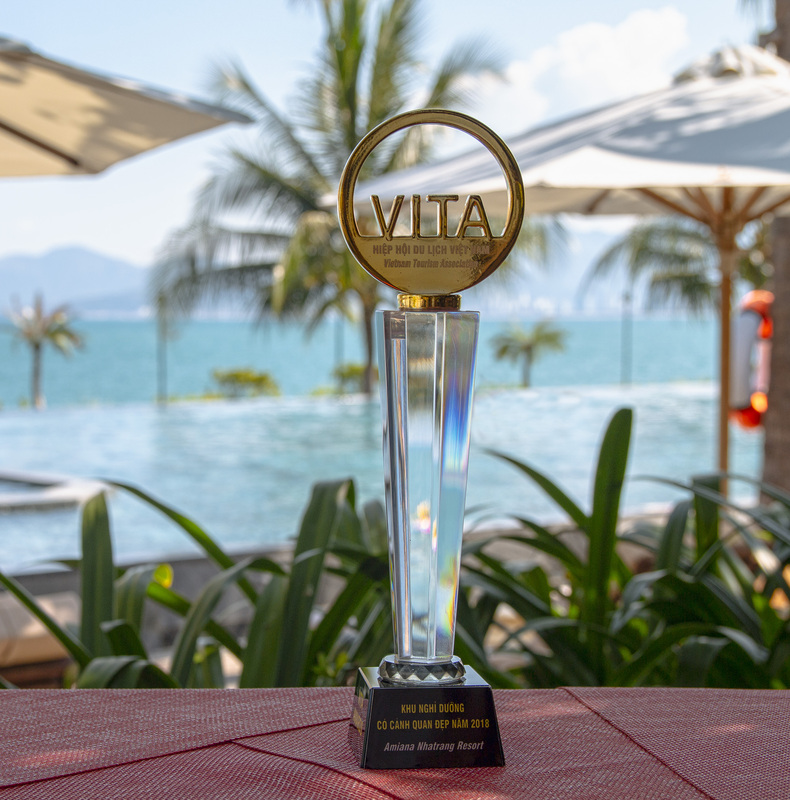 These factors have contributed to our recent award “Resort with beautiful scenery in 2018” granted by Vietnam Tourism Association. Located on Turtle Bay in the north of the city, overlooking the sea, Amiana Resort Nha Trang welcomes the sunrise in a beautiful and tranquil setting. Elegantly designed and located in a fresh and greenery garden, the scenery here is absolutely gorgeous. Guests can bike or walk by the rows of green coconut trees in the resort to feel the peace and tranquility in nature. One of the highlights of the resort landscape is its possession of three large swimming pools in the resort’s public areas. The 2,500m2 natural seawater pool, two 700m2 infinity freshwater pools and a private beach are a favorite area for all tourists. Visitors can indulge in the cool water and admire a peaceful natural beauty and watch the sun rise from the ocean every morning. Another admiring architecture is Bacaro restaurant with a unique design: ceiling of the restaurant is a clear blue pond, the interior uses coconut trees for decoration purpose, turning it into a garden where you can enjoy delicious food and zoom out into the sea in the windy atmosphere. Amiana Nha Trang Resort always carries in itself a pure beauty in every detail, promises to bring visitors a memorable vacation here.